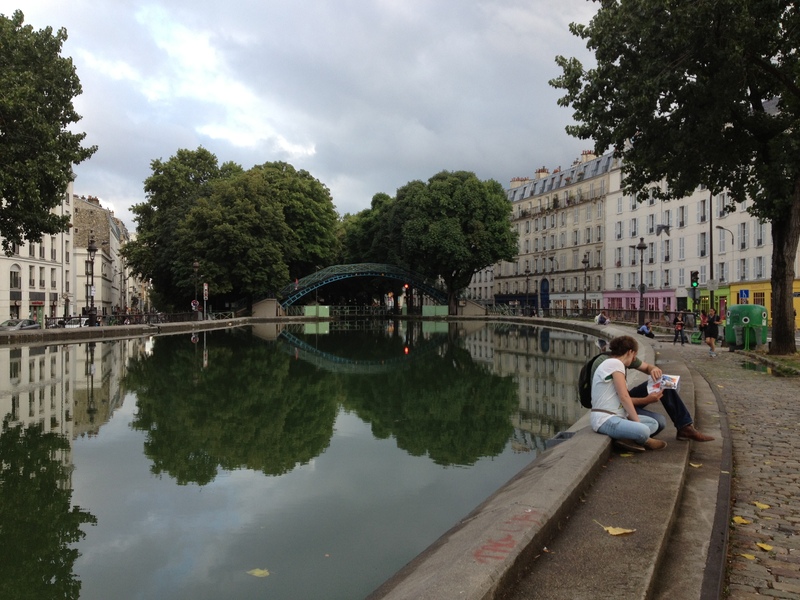 My first year as an expat in France was spent in Paris as a struggling English teacher plagued with visa problems. I didn’t eat out a lot. When I did splurge on something that wasn’t pasta, I wanted the yummiest possible food for the least possible cost. Actually, I still want that. 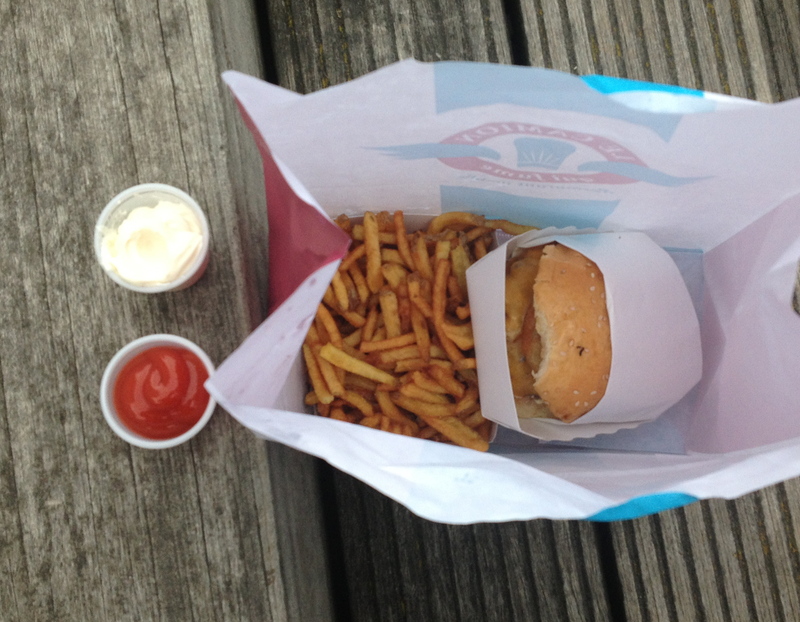 So now, whenever I’m in Paris, I hunt down the best cheap food I can find. These are some of my favorites so far. I lived in Paris a whole year and never ate on Rue Saint Anne, famous for its Japanese ramen restaurants. Big mistake! Turns out, it’s delicious and cheap. 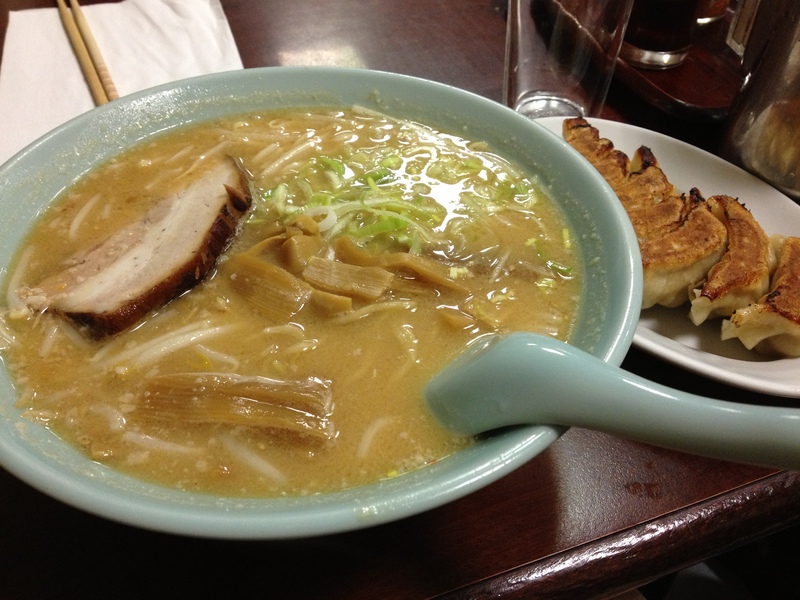 At Higuma, 10€ bought me an enormous bowl of ramen plus a plate of gyoza. I waddled home with my stomach inflated like a balloon, and I couldn’t even finished the soup. 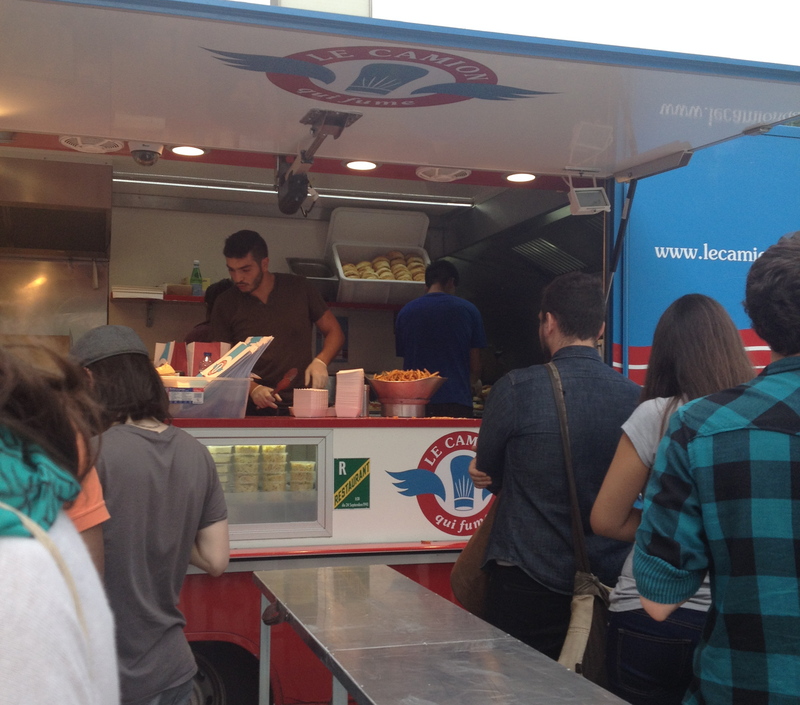 Haters gonna hate, but Le Camion Qui Fume is still awesome. Always get the barbecue bacon burger with fries (10€) and get there early to beat the line. L’As du Falafel gets all the love, and even though it’s darn good, I skip the line and go wait in the shorter line at Chez Marianne. 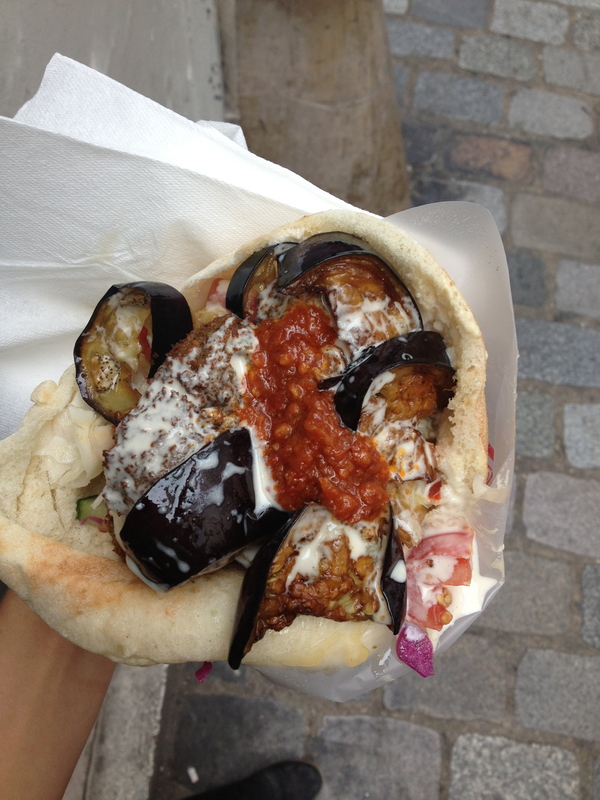 The eggplant is like butter, and the falafels still cost 5,50€ instead of 6€. 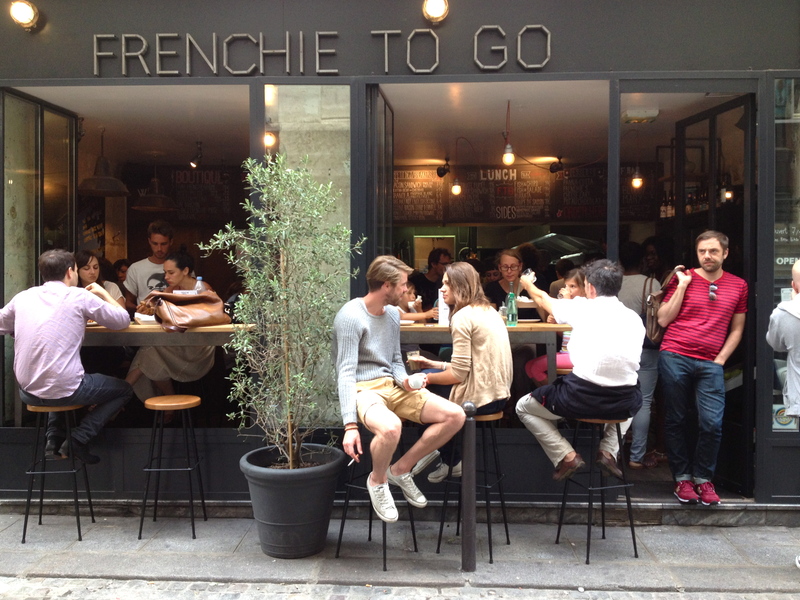 Frenchie to Go is an affodable spin-off of the fancy-pants restaurant Frenchie. 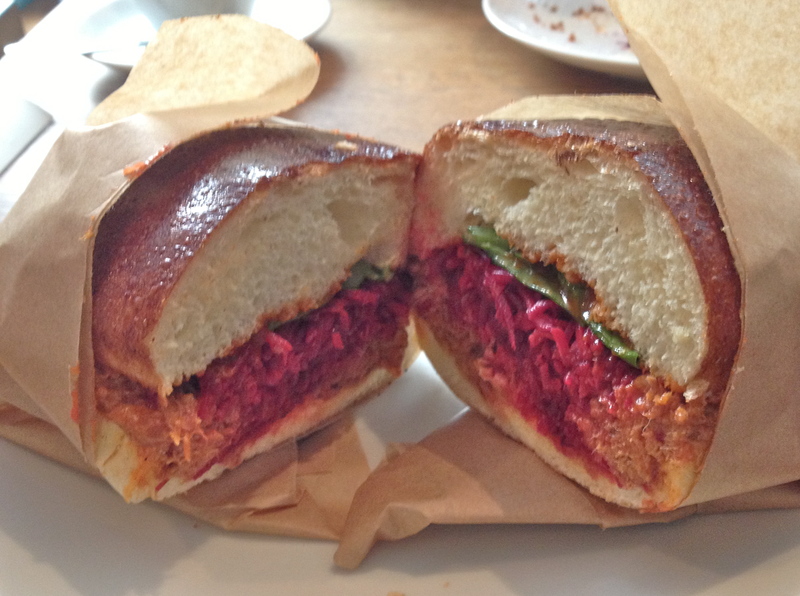 It is mega-hipster-y with very limited seating, but it is tasty and the pulled pork sandwich is only 10 euros, and that’s a win in my book. 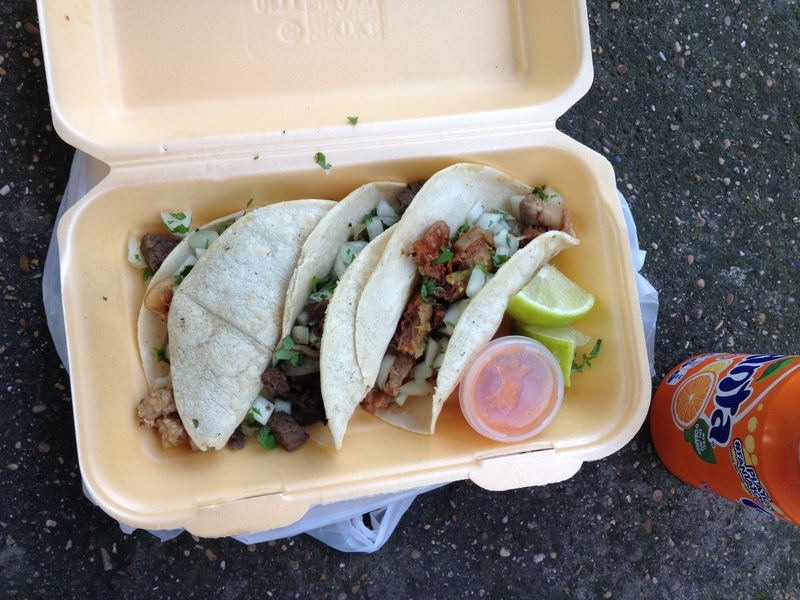 My undying love for tacos has already been established. 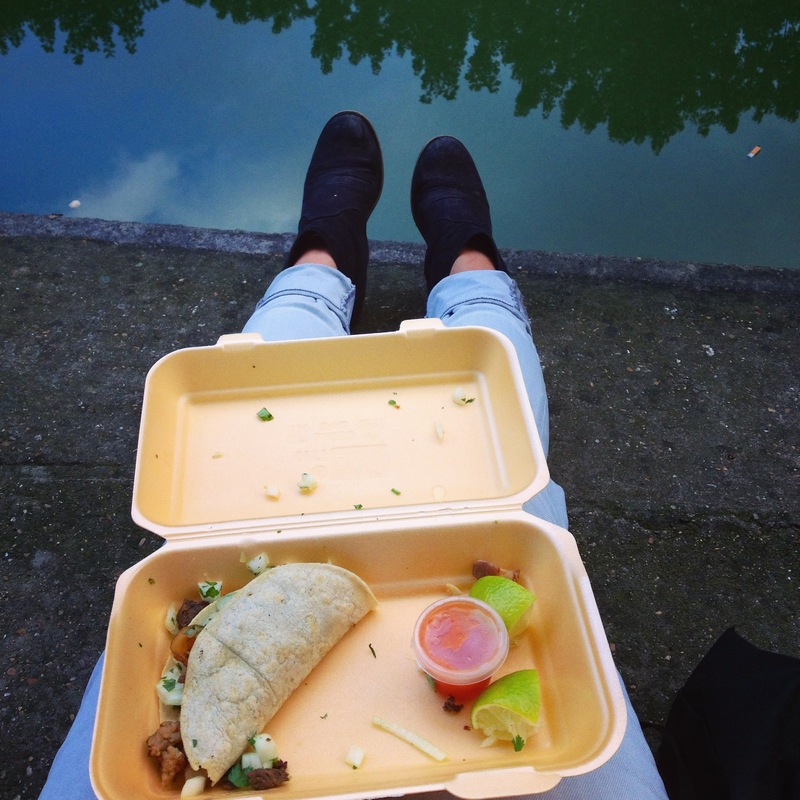 El Nopal is a hole in the wall, so get your tacos or burrito (7-8€) to go and eat along Canal Saint Martin like the cool kids do. 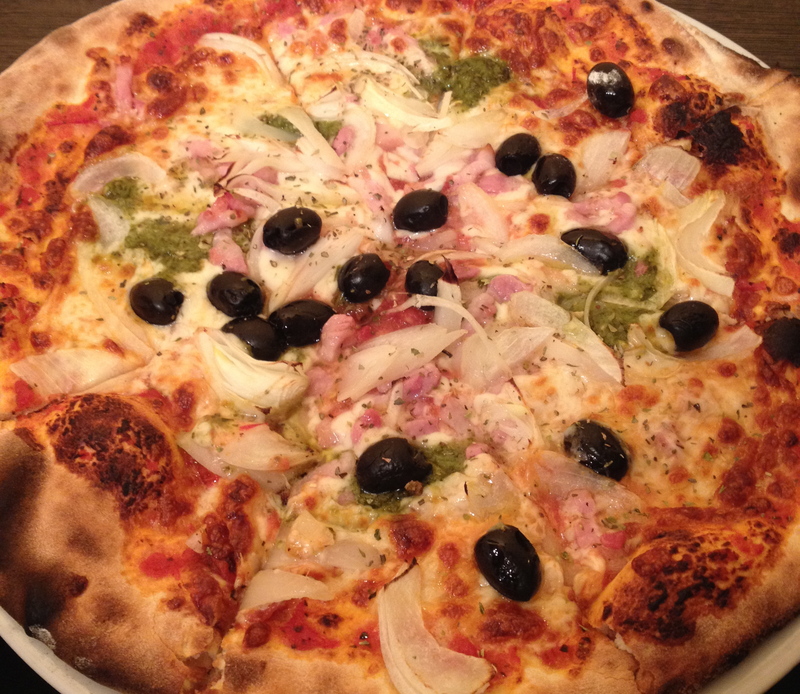 My favorite pizzeria in Paris, right off of Rue Mouffetard in the 5th. I figured it was a good sign when I heard the customers and the staff speaking Italian, and their pizzas are mouthwatering and affordable. They also have smaller snacks to take away. 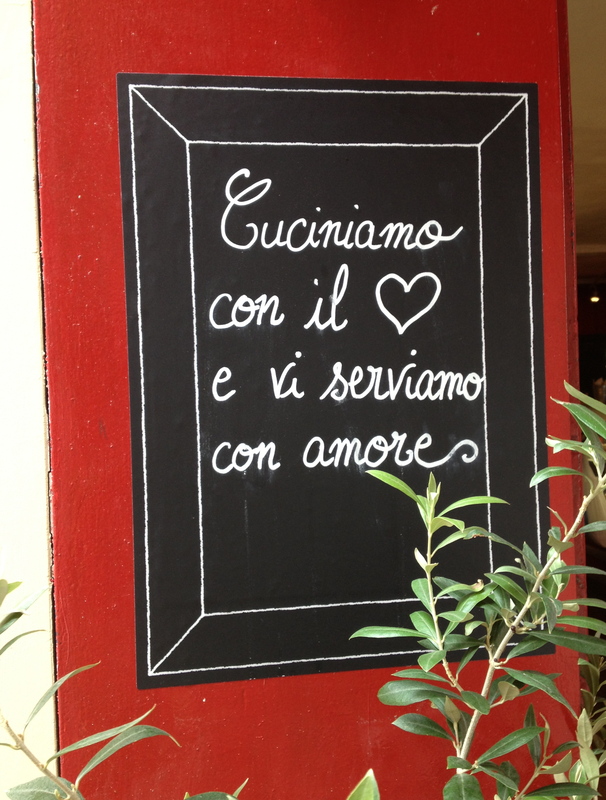 What are your favorite cheap eats in Paris? P.S. More things to eat in Paris here. Yummmm need to find more places like this in Lyon!!! I’ve never spoken English at any of these restaurants personally, but I know for sure that you can order in English at Le Camion Qui Fume and Frenchie to Go. 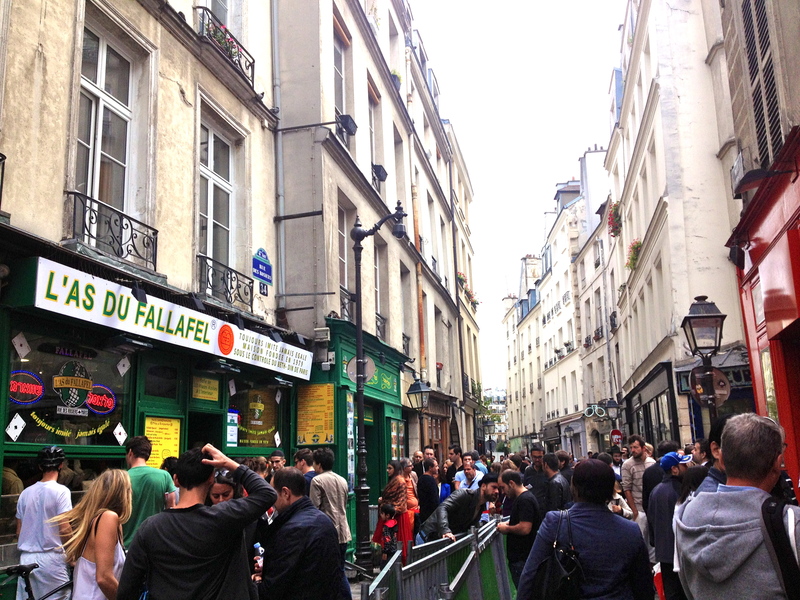 The falafel restaurants in the Marais attract so many tourists that I imagine that it would be fine there too. Golossino, El Nopal, and Higuma were primarily staffed by foreigners speaking, respectively, Italian, Spanish, and what I assume was Japanese. I think most places you go in Paris, you can get by in English, as long as you politely ask “Parlez-vous anglais?” first and always remember to say bonjour, merci, and au revoir. Lostincheeseland.com has an overwhelming list of places to eat and drink in Paris, and if you like Pinterest, I have a board called “Let’s Go To France” where I’ve pinned a lot of articles about traveling in France and restaurants in Paris. 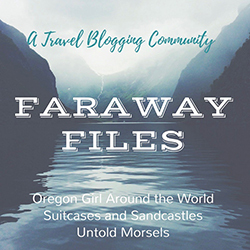 Have a great trip to Paris! I hope you eat lots of delicious things. 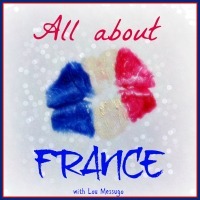 Let me know if you have any other questions, I love to talk about Paris and France! 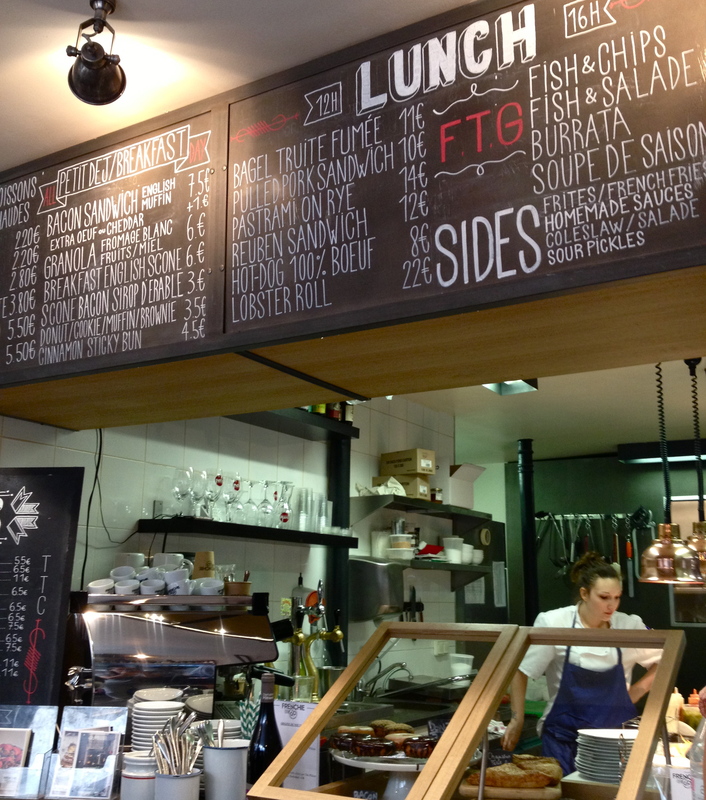 There are so many good things to eat in Paris! Personally, one of my favorite things to do in France is go to the boulangerie for viennoiseries (pastries like croissants and pain aux raisins), baguette tradition, sandwiches, and desserts like éclairs. Not all boulangeries are created equal but you can tell a good one when there’s a line around lunchtime or after work. I also love crepes, either freshly made from a street vendor or in a creperie restaurant with Breton cider. 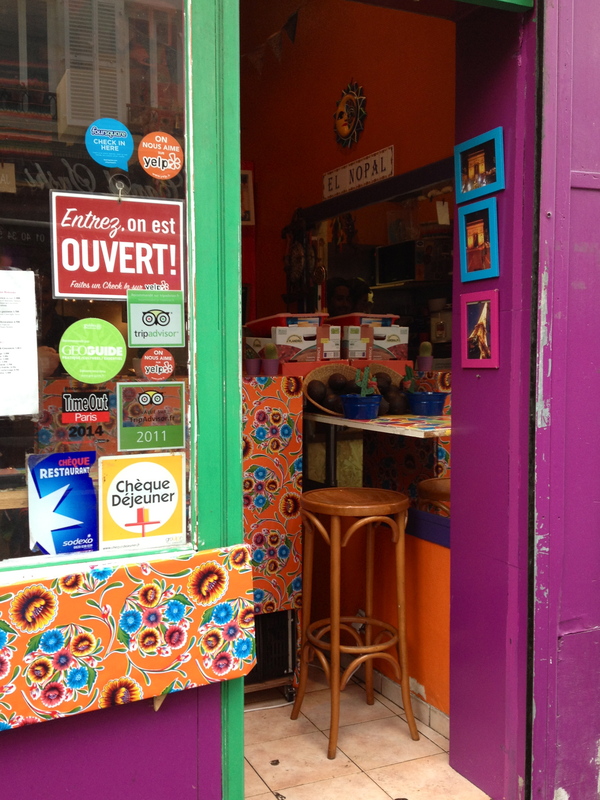 Falafel in the Marais is not exactly French, but to me it’s a must in Paris. It all depends on what you like – I can’t stand French cheese or escargot, but some people wouldn’t dream of skipping them while in France, and I like steak frites and foie gras, which not everyone cares for. 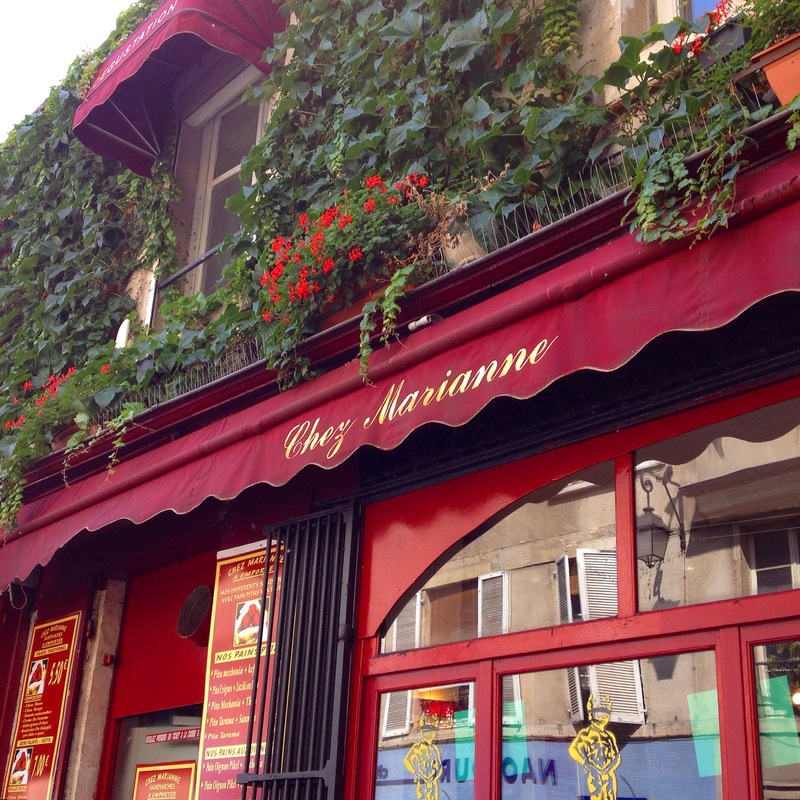 La Fermette Marbeuf, Closerie de Lilas, Bistrot Valois, La Marine, Chez Prune. Verjus, Le comptoir du relais, Le relais de l’entrecote, Bistrot Paul Bert. Anyway, I’m sure this is way more information than you wanted! If I had the ability to be concise, I would just say that what I’ll miss most when I leave France is everything at the boulangerie, charcuterie with wine, and foie gras. Yum! El Nopal is the best!